Favourite basin and bath taps are this week’s blog posting in our series on what’s new and interesting in bathroom furniture and fittings. 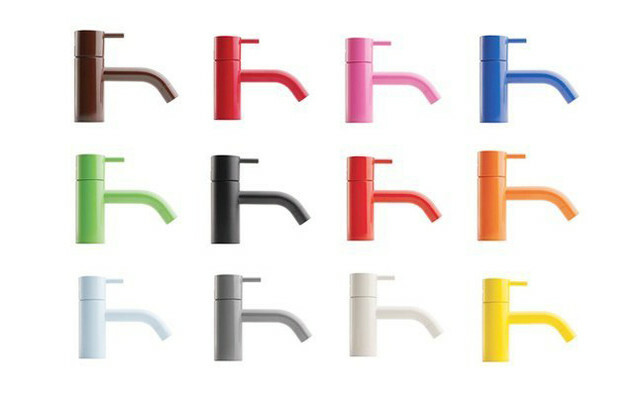 The iconic tap HV1 designed by Arne Jacobsen comes in an array of colours and makes us want to smile every time we see one. In 1961, after Jacobsen won an award for his design for the National Bank of Denmark, he was contacted by Verner Overgaard, the owner of the Danish company Vola, to design a new type of wall-mounted mixer tap where only the handles and the spout would be exposed (and the unattractive mechanical parts hidden). The minimalist Vola faucet which Jacobsen developed has been a classic bestseller ever since. Bespoke Bathrooms has featured this basin mixer before but as it is so spectacular and now available in South Africa we wanted to show it again. Klaus Grohe’s obsession with the vortex phenomenon inspired his son to work with French designer Philippe Starck on a transparent faucet. The result, according to Starck, is “a mixer that represents the absolute minimum: totally transparent, almost invisible, and enclosing a miracle that is the vortex.” The collection is available in finishes of gold, nickel and bronze. 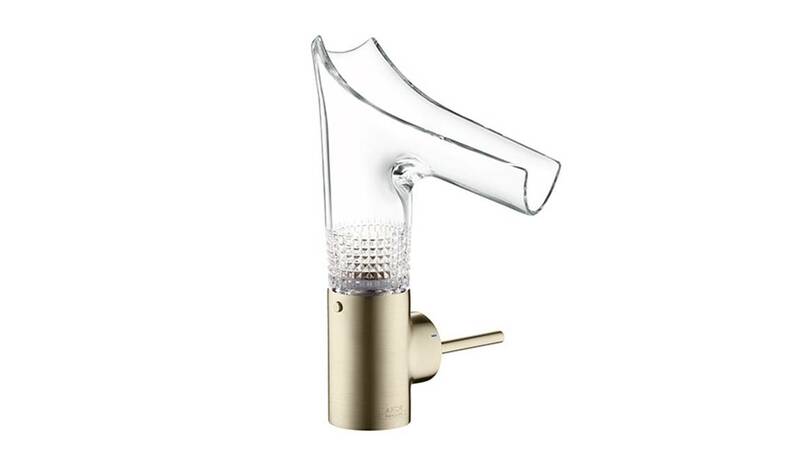 See the Axor Starck V in action in our original post. Dornbracht is a huge faucet brand and a good name to watch for the latest design trends. We love their new gold finish which is a trending colour and looks particularly great in a minimalist Interior. Cyprum is a rose-gold finish made from 18-carat fine gold and copper and derives its from the Latin ‘cuprum’ meaning ‘copper’. The first impulse for the current use of copper in interior design came from a range of lamps shown British designer Tom Dixon at the Milan Fair in 2005. Philipp Mainzer, designer and owner of the e15 furniture label, used the metal to impressive effect for his Habibi side table in 2008. Well-known British architect David Adjaye also holds the material in high esteem: joining up with Turkish luxury brand Gaia & Gino and Swarovski, he has designed copper vases and bowls lined with glass crystals. Gessi is a big brand in Italy and Bespoke Bathrooms attended the opening of their flagship showroom in Milan two years ago when we visited the city for the annual furnishings fair. Goccia – Italian for droplet – is inspired by the fluid and natural shapes of water. 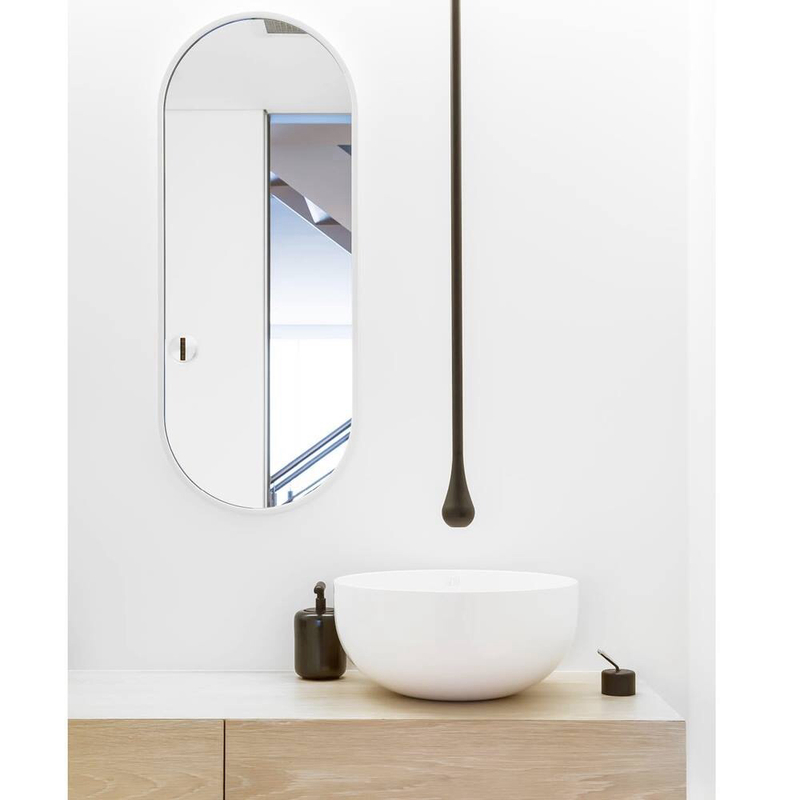 This basin mixer is available in black or white is a favourite of ours because we think the water drop shape so beautiful.